Rubber Room Ramblings: NEW RUBBER ROOM SCHEDULES HAVE ARRIVED! Now that I am working outside of my home part time, I have decided to arrange my Rubber Room calendar a little differently. On a monthly basis I will be hosting six (6) events in the Rubber Room. I am certain there are some events you will NEED to put on your calendar and attend each month. As women, we tend to feel the weight of the world on our shoulders and take on a lot of responsibility at work, at home, with our families.... the list is endless at times. All too often we forget we need to re-energize and enjoy a little down time. The Rubber Room is the perfect place to be when you need to treat yourself to that well-deserved and much-needed down time. It is a relaxing fun atmosphere where you can enjoy yourself AND be creative and productive at the same time. Whether you need to visit once, twice, three times or all six times each month, you are welcome in the Rubber Room! MONDAY FUN DAY: This happens the first Monday of every month. You can come in the morning from 10:00 a.m. to noon or in the evening from 7:00 p.m. to 9:00 p.m., or you can come both times; the choice is yours. We will be making three cards and the cost is $10 or FREE with a minimum $15 order placed at the event. DEMO DIVAS: This happens the third Wednesday of every month. You must be a demonstrator to attend and it is a FREE event. This is a shoe box swap for all demonstrators who participate; and you can even mail your swaps in if you are Rubber Room Rambler Demonstrator who lives out of town/state. BIRTHDAY BABES: This happens the second Thursday of every month from 7:00 p.m. to 9:00 p.m. This event is inspired by the #I'm Bringing Birthdays Back mission I am participating in. I think it's important to get "Happy Mail," especially on your birthday. In an effort to see you never run out of beautiful hand made birthday cards, once a month we will meet in the Rubber Room and make four (4) awesome Birthday cards. The cost is $15 or FREE with a minimum $20 purchase made that evening. MEMORY KEEPING MONDAYS: This happens the third Monday of the month from Noon to 5:00 p.m. and you must be a member of the Rubber Room Memory Keeping Club in order to attend. Memory Keeping is the newest passion in my life. It is Quick, Simple, Easy, Affordable and DONE! Better yet, you do not need to be creative at all. Memory Keeping is not only important, but it’s also fun, therapeutic and relaxing! And the best part…it’s at my studio, so there is no need to clean up, or worry about making a mess! You will have total access to the Rubber Room and my tools; punches, Big Shot, stamps and stamp pads, etc...! All you need to bring is your photos, and your Project Life card kits! (You can work on whatever you want for those 5 hours, cards, scrapbooking, Paper Pumpkin, or Project Life…it’s your 5 hours to use as you want!) As part of this awesome Club, you will get to make a double page spread each month. All the supplies for the 2 pages are included. 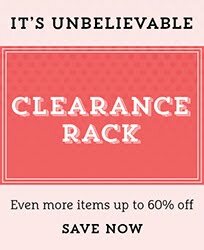 And there is NO FEE…just place a minimum $25.00 order each month (you can order anything you like) I know…it’s a sweet deal! You will commit to 6 months, and then you can choose whether or not to keep going or stay home with your crazy house, life and family and try to get it done. FUNTASTIC FRIDAYS: This happens on the fourth Friday of each month from 7:00 p.m. to 11:00 p.m. This is just what it sounds like a fun day (or evening to be exact) where you bring whatever you want to work on to the Rubber Room and have fun! You will have access to all of my tools (stamps, inks, Big Shot, dies, etc...). 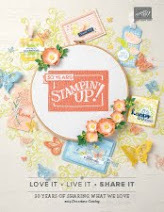 If you are a Paper Pumpkin subscriber, or love the Kits Stampin' Up! offers, just bring them along and enjoy your special time to craft with friends and relax. This is a great way to end a busy week and month! This event is $5 or FREE with a minimum $15 order placed that night. COCKTAILS AND CARDS: This happens the last Tuesday of each month from 7:00 p.m. to 9:00 p.m.. Think of this class as the stamping version of "Painting With a Twist" or "Pinot's Palette" You can relax with a nice glass of wine or cocktail (I furnish your first glass) as you enjoy making four fun and creative cards. Cost of the class is $20 or FREE with a minimum $25 order the night of class. Don't live in the area or busy that night? You don't have to miss out on the terrific cards being made in the Rubber Room. All Rubber Room events are offered TO GO! TO GO classes are an extra $5 plus shipping. 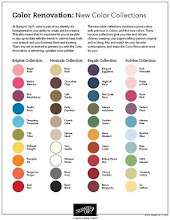 They will include photos and tutorials, as well as all the materials you need to make your wonderful cards. (Please note: It is against Stampin' Up! policy to mail stamped images, so you will have to provide all images when you receive your TO GO class). At all Rubber Room events, I will provide decaf. coffee, bottled water. and a light snack. You will need to provide your own adhesive. On Friday Fun Day, you will also need to provide your own project to work on. For all other events, I will provide all the materials you need to make your cards, including envelopes. You must RSVP for all events! 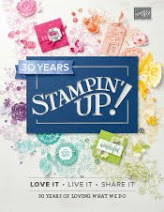 Want to join the Memory Keeping Club or join my Stampin' Up! Rubber Room Rambler family (now is a great time to do that because when you join during SAB, you get an extra $50 in FREE product), or just want to RSVP? Simply contact me today!